Program and talk with Michael S. Hayslett, Principal of Virginia Vernal Pools, LLC. Mr. Hayslett is a former biology and environmental instructor at Sweet Briar College and other Virginia schools. 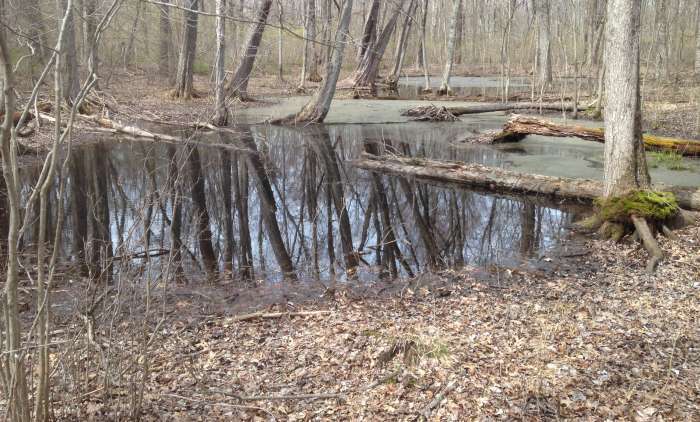 He has spent a career pursuing the study, awareness, and conservation of the freshwater wetlands known as “vernal pools” around his native Virginia. His research has focused on amphibian ecology, but this Master Naturalist is fascinated with all aspects of these special little ecosystems and with natural history in general. Brought to you by the Virginia Native Plant Society.